As of summer 2016, all foreign nationals except US citizens will need an Electronic Travel Authorization (eTA) to board an airplane to Canada. This requirement may make it much more difficult for people from Australia, New Zealand and other visa-exempt countries to fly to Canada with a criminal record without getting caught. Previously, people could sometimes get away with going to Canada from Australia with a DUI or other criminal history since there was no pre-screening process in place. The Canada eTA application requires your passport number and address, however, which allows Canadian immigration authorities to properly pre-screen you before giving you permission to come to the country. 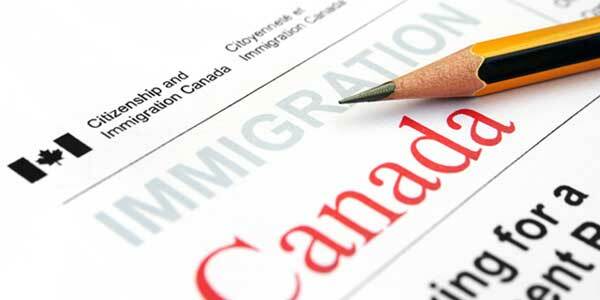 Live in Australia and worried you may be criminally inadmissible to Canada? Contact our Canadian immigration attorney today to help prevent getting refused a Canada eTA and consequently missing your flight. Australian citizens who are criminally inadmissible to Canada can obtain permission to enter the country in two ways. The first method is to apply for a Temporary Resident Permit (TRP), which can enable a citizen of Australia to overcome his or her Canadian criminal inadmissibility for up to three years. The second method is to attain Criminal Rehabilitation. Canadian Criminal Rehabilitation enables an Australian to permanently overcome their inadmissibility and have access to Canada for life. It takes a minimum of 9-12 months to successfully obtain Canadian Rehabilitation, however, so many Australians with a drunk driving conviction end up applying for a Temporary Resident Permit which can be obtained much quicker. In order to be eligible to apply for Criminal Rehabilitation, a person must have completed their entire sentence a minimum of five years prior. In addition to driving under the influence of alcohol or drugs (DUI), many other criminal arrests or convictions can result in issues at the Canadian border. Illegal drug possession, assault, theft, fraud, and domestic violence are examples of other crimes that can render an Australian inadmissible to Canada. If you have already been denied a Canada eTA, you may reapply once your situation has "changed substantively." Consequently, most Australians who have been refused a Canada eTA due to criminality may apply for a new one once they have been issued a Canada TRP. Residents of Australia who petition the Canadian Government for special permission to fly to Canada with a DUI must submit their application to the appropriate visa office in Sydney, New South Wales. Australians who retain the services of our immigration lawyer will not need to stress about such details, however, as we will submit the application directly to the correct CIC office on their behalf. A criminal record, including for non-violence offenses such as drunk driving, can render an Australian criminally inadmissible to Canada and therefore ineligible for all Canadian immigration programs. If you are interested in moving to Canada for any reason, including for a working holiday or to live with your spouse or partner, you must first overcome any criminal inadmissibility that exists. The Criminal Rehabilitation application requires all Australians to provide a certificate from the Australian Federal Police (AFP), as well as one from any other country lived in for more than six months at a time. Residents of New Zealand who wish to immigrate to Canada must sign a "Consent to Disclosure of Information" form that gives permission for their full criminal record to be released to the Canadian Government. Questions about going to Canada from Australia with a criminal history? Contact our team today for a free consultation.